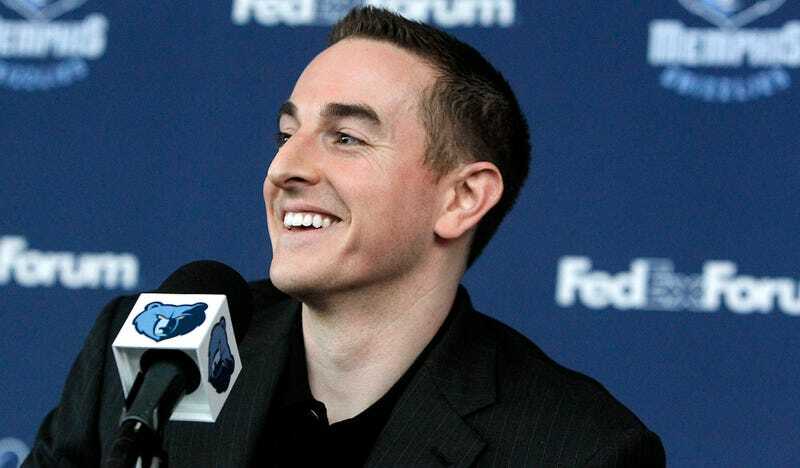 Photo of Grizzlies controlling owner Robert Pera via AP. As the Memphis Grizzlies undergo an injury crisis on the court, behind the scenes things seem even messier. According to a report from Brian Windhorst and Zach Lowe. Grizzlies minority owner Steve Kaplan’s plan to sell his stake in the team and buy into the Minnesota Timberwolves has been complicated and ultimately delayed by a dispute with Grizzlies controlling owner Robert Pera. Pera originally intended to purchase the Grizzlies with only his own money in 2012, but according to Windhorst and Lowe he was forced to take on almost 20 investors after shares of his company tanked, and he actually owns less than 30 percent of the team. These types of ownership disputes seem to be spilling into the public eye with increasing frequency. Recall that Hawks minority owner Michael Gearon feeling frozen out by GM Danny Ferry in part led to the discovery of the racist email that forced Bruce Levinson to sell the team, and Kings minority owners reportedly want to seize power from majority owner Vivek Ranadivé. The drama could drag on, particularly because of an unusual clause in the Memphis ownership agreements that Kaplan can trigger in October 2017 — on the five-year anniversary of their purchase of the team with Pera. At that time, Kaplan and fellow minority owner Daniel Straus, an East Coast health care magnate and the team’s vice chairman, have an option to make a bid for controlling interest in the team at a price of their choice, sources said. At that point, Pera would have two options: buy out Kaplan and Straus at that named price, or sell his shares to them based on the same valuation. Control of the decision ultimately would rest with Pera. The so-called “buy-sell” clause is merely an option, and it is unclear whether Kaplan or Straus would ever trigger it — especially because Pera could simply force them to pay up if they named a wildly high price. This is very similar in practice to the best way for two people to ensure fairness in splitting food like a piece of cake, where one person cuts and the other person picks the slice they want. If Kaplan and Straus put a crazy valuation on the team like $3 billion, Pera will happily sell his share at an inflated price, whereas if they value the team at $1,000, he will happily buy their shares. This ensures Kaplan and Straus put a fair valuation on the team, or else gamble that they can force Pera into a decision he doesn’t want to make.